It was clean, quiet and sociable as most free camps are and we also had the company of a few resident pelicans. I don’t know what they ate. 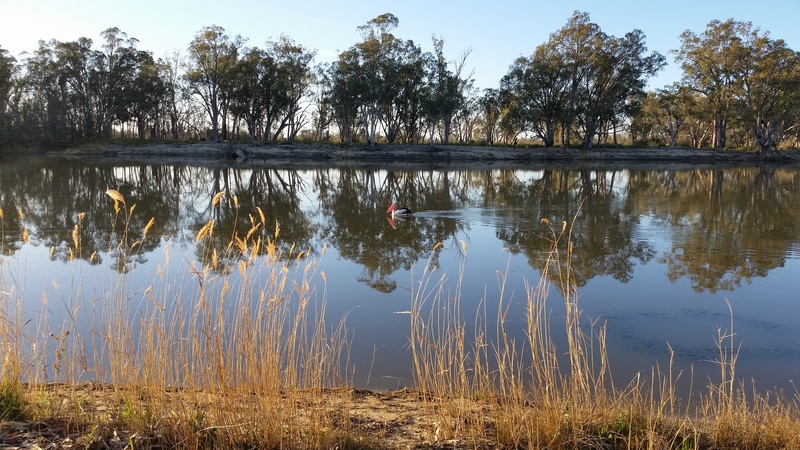 It can’t be fish as having had a line in the water for hours, I can say with some certainty, there are no fish in the Murray River. We departed at a reasonable hour, well after those on a schedule had gone and 15 ks later we were in Victoria. An hour after that, we arrived in Mildura and I took the opportunity to buy some fishing tackle and long-life bait. Now I know what you’re thinking, if there’s no fish in the Murray why do I need bait? As it happens, one of the stops will be on the Murrumbidgee River and I have it on good authority, there are plenty of fish there.